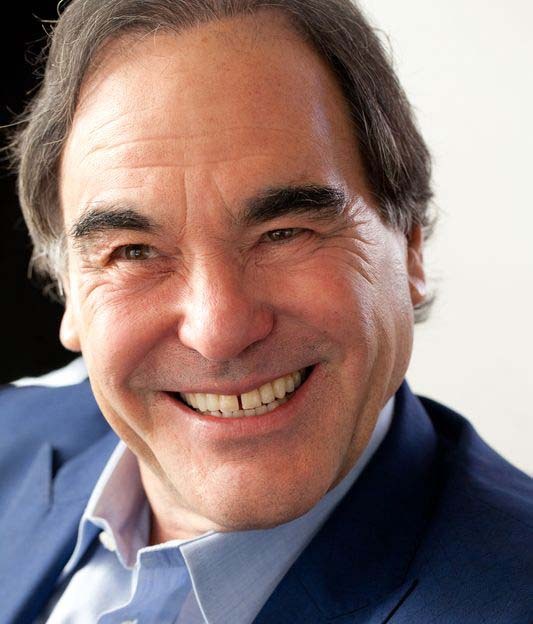 Film director, screenwriter and producer Oliver Stone will take part in a panel discussion on the U.S. Military on Okinawa, Wednesday, at Okinawa Convention Center. American director, producer and screenwriter will be joining a former Okinawa governor and two other panelists on Wednesday, August 14th, to discuss U.S. military base issues on Okinawa. The event celebrates the 120th anniversary of the establishment of the Ryukyu Shimpo, and the newspaper has invited two-time Academy Award-winning director Oliver Stone to Okinawa. The event will feature a lecture by Stone with a panel discussion. Stone will observe the U.S. military bases in Okinawa for the first time. With an interpreter present, the discussion will cover the excessive burden on Okinawa of hosting bases and U.S. military strategy. Some of the works of Stone and some digest footage of his visit to the prefecture will also be shown. Oliver Stone a military veteran as well as film director, screenwriter and producer, was born in New York in 1946. After coming back from the Vietnam War, he graduated from New York University Film School. Stone debuted as a film director in 1974. He won Academy Awards for Best Director for films such as Platoon and Born on the Fourth of July. Stone has been energetically making films focused on contemporary and controversial American political and cultural issues such as JFK and Wall Street. He has created a documentary miniseries for Showtime titled The Untold History of the United States. It covers the hidden history of the United States after World War II and is attracting considerable attention. Other speaker and panelists are Peter Kuznick, Masahide Ota and Satoko Norimatsu. Peter Kuznick is a Professor of History at American University. Born in New York In 1948, Kuznick teaches modern history of the United States. A critic of the U.S. decision to use atomic bombs in World War II, he strongly criticizes U.S. military hegemonism. Kuznick brings American students to Hiroshima and Nagasaki every year. Teaching the course Oliver Stone’s America at the university, Kuznick and Stone prepared the series and book of the same title. These works represent a milestone in their collaborative projects. Masahide Ota is a former Okinawa Governor and director of the Ota Peace Research Institute. Ota was born on Kumejima Island in 1925. Serving in the student unit called Tekketsu Kinnoutai, he barely escaped death while he was studying at teachers’ training school during the Battle of Okinawa. Ota graduated from Waseda University and Syracuse University where he earned a master’s degree in journalism. He served successively as a professor of Social Science and Dean of the Faculty Of Law and Letters in the University of the Ryukyus from 1957 to 1989. Ota became Okinawa Governor in 1990 and served two four-year terms. He then became a member of the upper house, serving one six-year term. Satoko Norimatsu is Director of the Peace Philosophy Centre, a Vancouver-based organization promoting peace. Norimatsu actively publishes articles about the U.S. military base issue in Okinawa in both English and Japanese on the web. She and Gavan McCormack co-wrote a book titled Resistant Islands. Norimatsu also translated a book titled Rethinking the Atomic Bombings of Hiroshima and Nagasaki : Japanese and American Perspectives that was co-written by Kuznick and Akira Kimura. Norimatsu is a member of the 100 People Committee that seeks to create peace and recover human dignity in Okinawa.